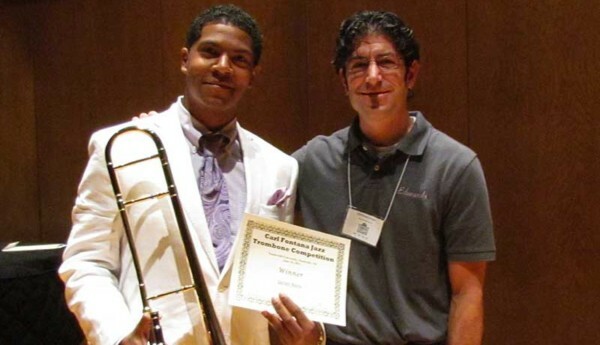 I wanted to relate a story about a conversation I had in the Edwards booth at the recent International Trombone Festival. This is not meant to sling mud at anyone, but rather illustrate a point about the nature of buying an instrument, the internet, and preconceived ideas. A student came into the booth and was looking at the instruments we had on display. I asked him if he’d like to try one out, and he responded, “Do you have any without Thayer valves?” I told him that we do produce conventional rotors, but didn’t have any at the show. At this point, he said, “I don’t like Thayers. They need way too much maintenance.” I hear this all the time from online forums, but was caught a little off guard by the way he came out and said it the way he did. A Thayer valve requires regular oiling and cleaning like any other valve, but I didn’t think he was interested in hearing that. I did tell him to be sure to try other horns at the ITF, as there were many other exhibitors with fine horns on display. I heard through the grapevine later that he was a bit offended by me telling him to try other instruments. I couldn’t understand why he felt this way as I thought he had already made up his mind about our instruments before he ever tried one. I learned that he did want to play an Edwards and just wanted to know about Thayer valve maintenance. I probably overreacted and offended him, but if you know me, you know that’s never my intention. Except if you’re named Josh Brown. That dude bugs me. But this story is a good learning tool, I think. We do these trade shows in order to allow customers a chance to play our products without making a separate trip to Elkhorn. But one of the things I notice a lot are players that come into the booth with preconceived ideas about our horns — many times these opinions are formed after reading online message boards. (There is a lot of misinformation in the internet world. It’s amazing how rumors and opinions can go viral so easily. If you don’t agree, then check snopes.com for all the email hoaxes that still fool my mother. But I digress.) Once I get a chance to work with these players, they rarely leave with the same opinions they had before coming in. It’s so easy to focus on the negative opinions you’ve heard, just like it’s easy to dwell on the one missed note in your solo performance, even though the rest of the piece was performed well. 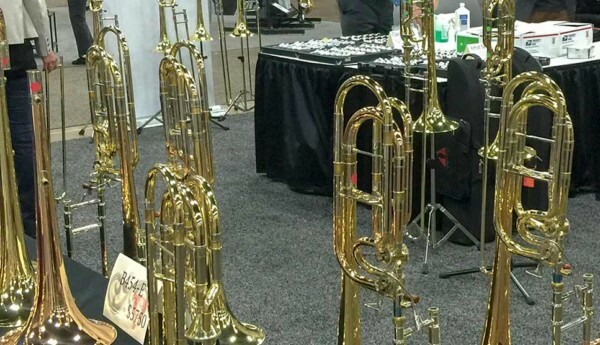 So, if you attend a trade show and visit a company’s booth to try out their horns, remember that they want you there, and they want you like their instruments. But do yourself a favor and go in with an open mind. 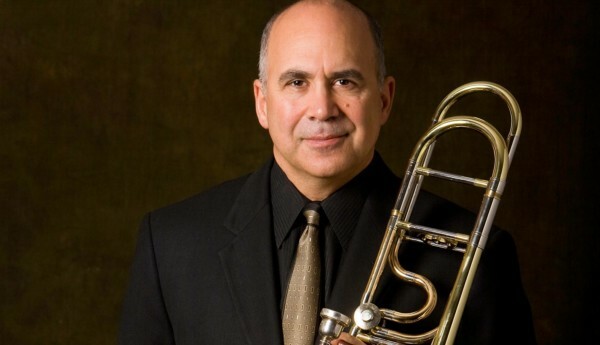 Instead of saying, “I don’t like this valve,” try making your opinion into a question: “Is it true that Thayers can be hard to maintain?” Above all, judge for yourself after you’ve played the horn.